There’s nothing better than a sunny holiday during the winter, and Spirit Airlines is offering just that with its new route between Baltimore and Orlando. These daily flights take off on January 7, 2016. Spirit is known for its cheap flights, so a weekend escape to Disney World has never been more doable for residents in the Baltimore/Washington area. The airline offers what it calls the Bare Fare, which basically means that your ticket comes with nothing. You’ll have to pay for extras like baggage and in-flight drinks. By doing away with freebies, Spirit can bring down the cost, allowing you to pay for only the upgrades you want or need. Even though it’s a low-cost carrier, Spirit has a frequent flyer program called Free Spirit. If you sign up, you can earn miles when you fly, and cash them in for a free flights. Spirit Airlines also has its own credit card, the Spirit Airlines World MasterCard. With the card, you’ll earn two miles per dollar spent and get 15,000 miles with your first purchase. Disney World in Orlando includes a duo of water parks, along with the Magic Kingdom and Epcot. But that’s not all there is to do there. 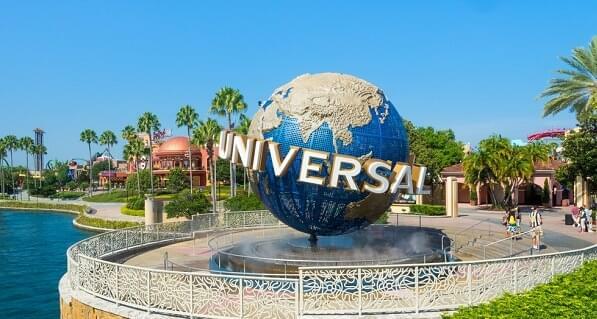 There’s also Universal Orlando, which includes Universal Studios and Islands of Adventure. For those Harry Potter fans, the Wizarding World of Harry Potter can’t be missed. What if you want a break from the theme parks? Well, there’s plenty of other things to do in Orland, too. If you’re into nature, check out the Tibet-Butler Nature Preserve, where you’ll find hundreds of acres of wetlands and woods to explore. Or take a stroll in Lake Eola Park and take a paddle boat for a spin. There are over 170 golf courses in and around Orlando, so you can putt the day away or even take some lessons from a local pro. But you could also pamper yourself at a spa. There’s no shortage of them in the city, including the Waldorf Astoria Spa and Grande Lakes.